Very easy to pop into place, fast shipping. I received a sample of this in my CookieCon pack, and knew it would be absolutely perfect for one of my regular customers who works regularly with pet food companies and vet offices. I ordered them for her most recent big order, and they were a huge hit! 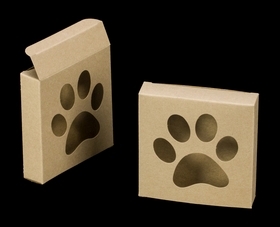 Bought a few last year and thought they would be memorable for Christmas season at our dog lifestyle company, Happy hound..
Customers loved the unique box. Shipping was very fast. Thank you. Best UsesFancy dog cookies, small collars and leashes. Bandanas so far. Especially nice to have special packaging for Christmas. Perfect for my homemade dog biscuits! Does this have a wax lining so the product inside doesn't bleed through the board? Hi Kayte, None of our boxes have a grease-proof coating. Hi Becky, Not currently. What size would you like to see this style in? Is the paw print area open or has cellophane across it? It looks open in the picture but hard to tell. Is it possible to get one sample of the box? 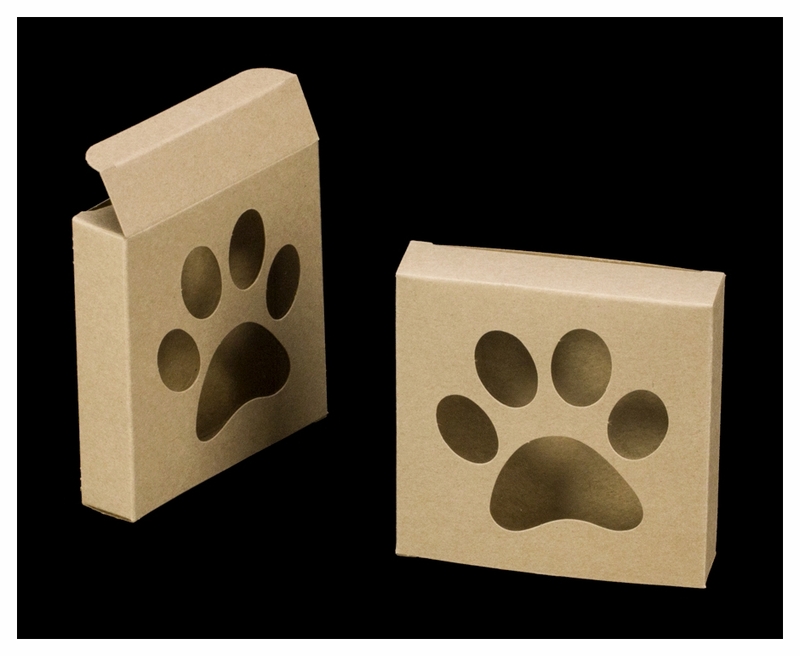 We are a non profit animal rescue group doing a fund raiser If the box is well received at our next meeting we will be ordering 200 of these. Thank you for your time! There is a clear film covering the opening :) Because the material is clear, it doesn't photograph well.